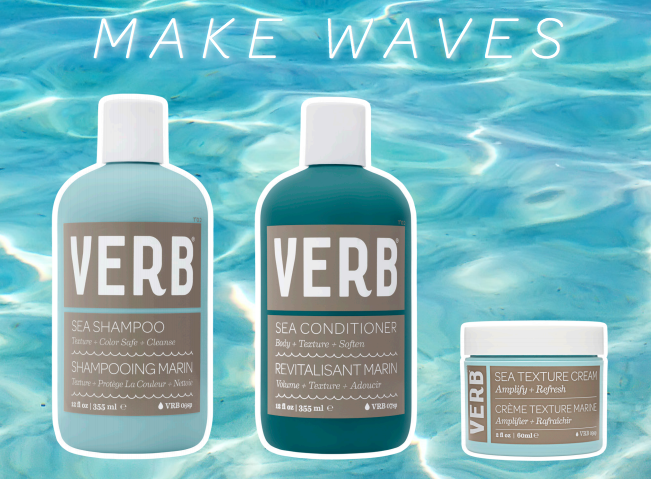 Everyone loves the beachy, tousled texture from our bestseller, Verb Sea Spray, so we created an entire line around the innovative, crunch-free formula. 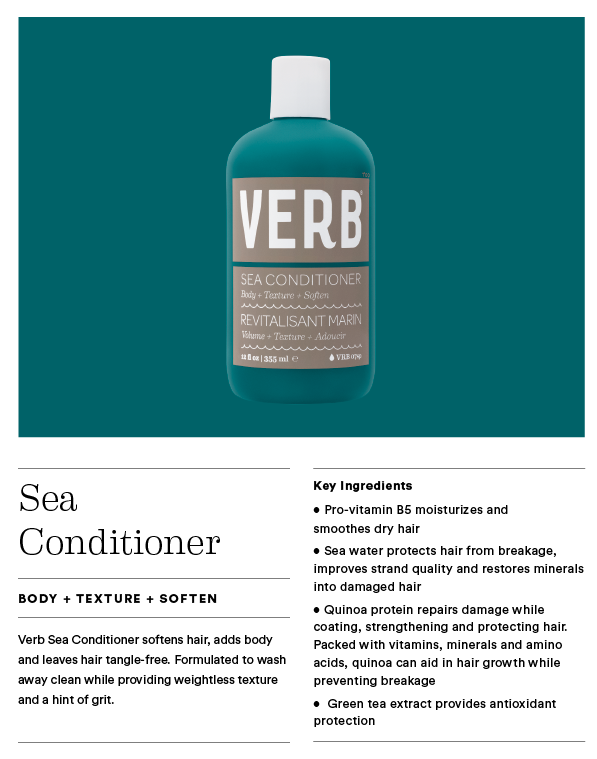 The new Sea Collection includes Sea Shampoo & Conditioner and Sea Texture Cream. All created to enhance touchable texture and the effortless beachy look. Launching on VerbProducts.com May 22nd. Available at a salon near you in June. 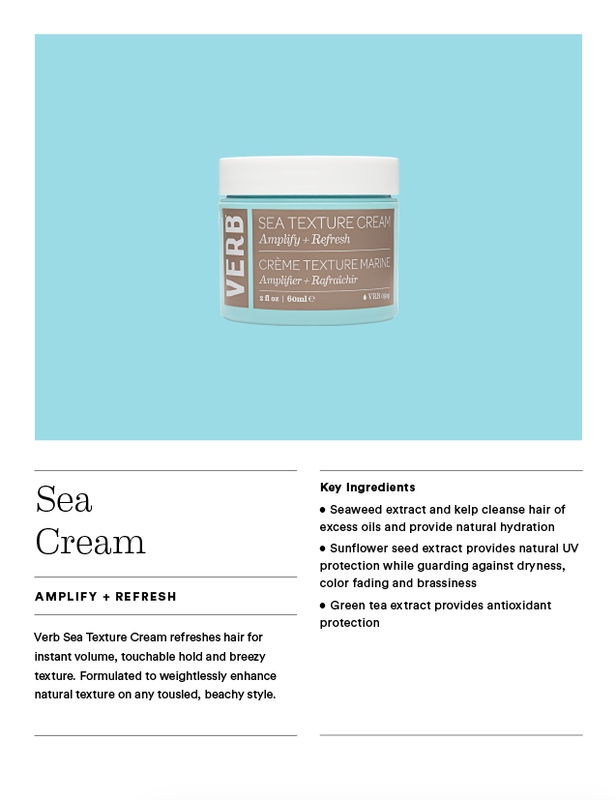 Use this wash & rinse to create soft touchable texture. 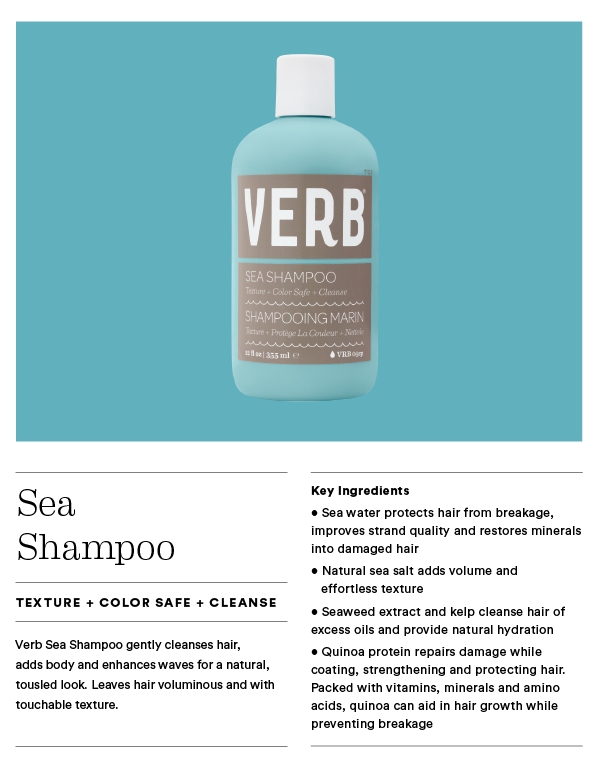 On dry hair to refresh & amplify waves without the crunch. 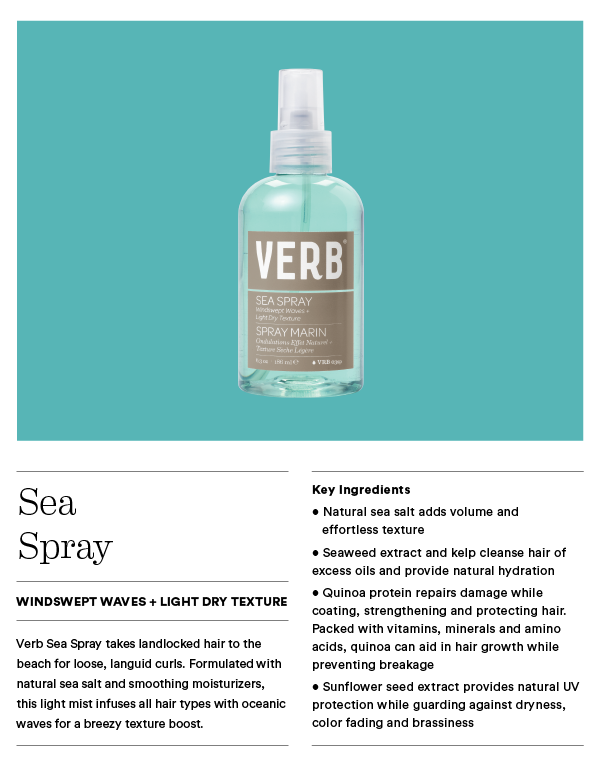 Use Verb Sea Spray on wet or dry hair to achieve light dry texture (crunch-free) for any look (straight, wavy, curls, refresh lifeless hair).